In the previous post we looked at the criteria for knowing whether something is official Mormon doctrine. - Not every statement made by a Church leader, past or present, necessarily constitutes doctrine. - A single statement made by a single leader on a single occasion often represents a personal, though well-considered, opinion, but is not meant to be officially binding for the whole Church. - With divine inspiration, the First Presidency (the prophet and his two counselors) and the Quorum of the Twelve Apostles (the second-highest governing body of the Church) counsel together to establish doctrine that is consistently proclaimed in official Church publications. - This doctrine resides in the four “standard works” of scripture (the Holy Bible, the Book of Mormon, the Doctrine and Covenants and the Pearl of Great Price), official declarations and proclamations, and the Articles of Faith. Isolated statements are often taken out of context, leaving their original meaning distorted." I discussed how Letter VII (1) originated with the First Presidency and (2) was "consistently proclaimed in official Church publications." In fact, it was proclaimed in every official Church publication during Joseph's lifetime, (except for the Elders' Journal which consisted of only four issues). It was proclaimed after Joseph's death as well. 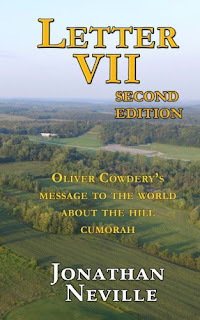 As far as I know, Letter VII has not yet been published in the Ensign, but the teachings of prophets and apostles about the New York Cumorah have been published in the Ensign's conference reports. This is not surprising, really; the Ensign rarely reprints historical documents, and Letter VII has already been reprinted so many times that it is well-established in Church literature. Because the Mormon Newsroom article also refers to the Quorum of the Twelve Apostles, today I am considering what members of the Quorum of the Twelve have said about Letter VII and the New York Cumorah. These men constituted the Quorum of the Twelve through 1837. (For a brief summary of each individual's role, see this page.) We don't have complete records for each of these men, but for the records we do have show that each of them who ever spoke or wrote about Cumorah reaffirmed what Joseph and Oliver wrote in Letter VII. -Brigham Young related Oliver's accounts of entering into Mormon's depository of Nephite records in the New York hill Cumorah. -Heber C. Kimball affirmed the account. -Parley P. Pratt not only republished Oliver's letters in England, but he related events from his mission to the Lamanites, during which he accompanied Oliver. He said Oliver told people about the Hill Cumorah in New York. -William Smith told people about Cumorah in New York and published Letter VII in the Prophet just two days after Joseph was martyred in Carthage. -Orson Pratt not only reprinted Oliver's letters but identified Cumorah in his footnotes to the 1879 edition of the Book of Mormon. Orson speculated about other Book of Mormon sites as he indicated in those notes, but he unequivocally stated that Cumorah was in Manchester, New York. Consequently, we have Letter VII originating from the First Presidency, sustained and taught by the Quorum of the Twelve, and consistently proclaimed in official Church publications for many years. Subsequent members of the Quorum of the Twelve Apostles have reaffirmed the New York setting for Cumorah as well. This includes members of the First Presidency speaking in General Conference, as I've discussed before. No prophet or apostle has ever rejected the teaching of Letter VII. The only ones who have rejected Letter VII and are teaching members of the Church to disbelieve it are the intellectuals who promote a two-Cumorahs theory. Most of these also promote the Mesoamerican setting, but others promote a setting in Baja, in Panama, in Chile, etc. I think that, once educated about Letter VII, most Church members will choose to believe the prophets and apostles instead of the intellectuals. The intellectuals have successfully promulgated their theory by keeping members of the Church ignorant of the context, content, and legitimacy of Letter VII. Hence the need for more members of the Church to read and share Letter VII. Which narrative makes sense to you?